Published on October 4, 2018 in the Detroit Free Press, Professor Hall’s op-ed enumerates the differences between court room proceedings and the Supreme Court confirmation process that ensures only qualified nominees go on to sit on the bench of the highest court in the land. For this reason, Hall concludes "Reasonable doubt should acquit a criminal defendant, but it should eliminate a Supreme Court nominee." 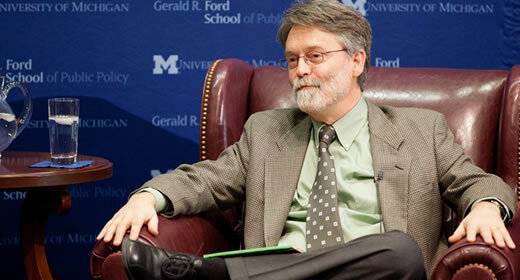 Richard Hall is a professor of political science and public policy; Professor Hall is also a recipient of the Richard F. Fenno Award from the American Political Science Association and received the Jack L. Walker Award from the American Political Science Review.